Renshaw Europe was created in 2013 with the name of Real Good Food Europe. It was created as the European subsidiary of Real Good Food PLC, a diversified food group which owns Renshaw (icing, marzipan and caramels), Rainbow Dust Colours (edible colours) and Chantilly Patisserie (fine baked products). Our main intention was to create a European market focused supplier of UK baking ingredients. The common theme across all the companies of the group is a transformation from being a manufacturing led to a market led business, understanding the markets in which we operate and meeting customer requirements with quality products and excellent service. Renshaw is a leading British manufacturer of ready to roll fondant icing, marzipan, frostings, caramel and mallows. Renshaw supplies products both in the UK and exports across the world. It supplies specialist sugar craft shops, bakery, general wholesalers, major grocery outlets as well as and food manufacturers and the foodservice sector. The Renshaw brand is “The Professional’s Choice” because it has worked to the specifications of sugar crafters to provide product that is of consistent quality, reliability and flexibility. 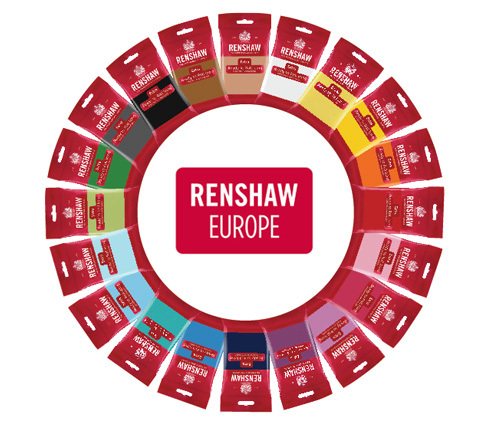 Renshaw provides an unrivalled choice of range and colour as well as offering expert advice on technique and applications. Renshaw has over 100 years expertise in cake decorating of which some key dates are shown below. In 1898, John F Renshaw & Co Limited was founded, with its first premises situated on Great Portland Street, London. From the 1930s, Renshaw was exporting to New Zealand, Argentina and Mexico, with exports to Australia beginning post-war. Renshaw was granted its first Royal Warrant by King George VI in 1950 followed by Queen Elizabeth II and The Queen Mother in 1955. To this day, Renshaw is the proud holder of the Royal Warrant, granted for “Purveyors of Almond Products”. All the production moved to Liverpool in 1991. In 1994, the Liverpool site was awarded Best Factory in the North West. In 1995, Renshaw is accredited as an Investor in People. In 1996, Renshaw is awarded ISO9001 – the first of many subsequent universal quality accreditations such as BRC, RSPO, Kosher and Halal accreditation. In 2005 Renshaw becomes part of Real Good Food PLC. 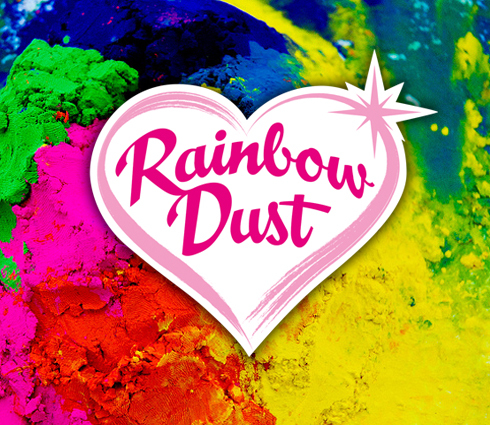 Rainbow Dust Colours was founded in 2008 with 3 staff. Their main intention was to create a simple supply of cake decorating glitter to the UK market. The 12 months that followed built on this success with the introduction of Lustre powders (The Edible Silk Range) and plain dusting powders (The Plain & Simple Range), whilst also offering two barcoded, packaging standards (loose pots and retail hanging packs), allowing their products to suit any retail environment, however large or small. Each new range was well received by their customers and listed in various wholesale catalogues across the United Kingdom and Europe. Over the next few years, as their name became more established, they took their basic fundamental rules (ease of supply combined with a point of difference) and applied it to each range of new products they developed, from Double-Sided Pens to Sugar Sprinkles and to this day, continue to develop new and exciting products for each season. Now, the company employs around 30 staff members within a 20,000sq/ft SALSA approved manufacturing facility.